I AM SURE. MASTER MITCH AND HIS FRIENDS — THEY MAKE GOOD CHOICES. VERY CAUTIOUS. VERY CAPABLE. MOST LIKELY RIGHT NOW THEY ARE FAR AWAY FROM ANY DANGER. — YOU WOULD SEE THAT THEY HAVE EVERYTHING WELL IN HAND. Over on the Patreon Page, Patrons are getting to vote on which new artists I’m going to be adding to our team! 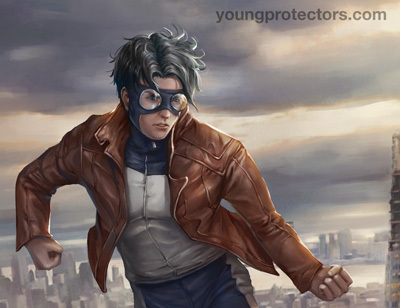 I’ve commissioned 8 new artists to create pin-ups of your favorite The Young Protectors characters, and Patrons get to vote on which pin-ups they like best. So! It’s the last page of Interlude 2! I hope you enjoyed catching up with Cory. But now it’s time to return to our heroes! Is everything truly well in hand?